You might be surprised how much time some Tulsa criminal justice lawyers spend freely answering people’s questions about law. For some of us, it’s a way to let prospective clients get to know us before they retain us as their criminal defense lawyer. Many who approach us with questions are encountering the criminal justice system for the first time. We try to quickly get clients up to speed on basic concepts of criminal law related to their case, or a matter in which a friend or family member is involved. The Internet is one source of questions that inspire people to call us seeking a no-cost consultation. People tend to find as much information as they can understand on the Internet, then they call a Tulsa criminal justice attorney to fill in the blanks. And you probably know, Internet searches can turn up some mixed results, leaving plenty of room for an expert to explain details. One question people seek to answer on the Internet is the most basic for anyone involved in the criminal justice system: What is a criminal justice lawyer? A criminal justice attorney in Tulsa, in Oklahoma, in the United States and probably most anywhere in the world is simply an attorney who works in the criminal justice system. Okay, but is that a criminal defense attorney? Is the Assistant District Attorney who asked the court to increase your bail at the Tulsa County District Court a Tulsa criminal justice lawyer? Is a public defender a criminal justice lawyer? Are those high-powered criminal defense attorneys we see talking to TV cameras about controversial legal matters criminal justice attorneys? In each case, the answer is yes. A criminal justice lawyer in Tulsa is simply a lawyer trained and qualified to work in the criminal justice system. A Tulsa criminal justice lawyer may work as a private criminal defense attorney, representing clients who can afford proper legal representation against felony charges or misdemeanor charges. A criminal justice attorney in Tulsa may work as a public defender, paid by the state to defend indigent clients. A criminal justice attorney may work as a prosecutor for the District Attorney, or if they have the skills and where-with-all, get elected as District Attorney. 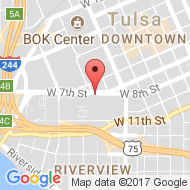 What do Tulsa Criminal Justice Lawyers Do? Of course, as a Tulsa criminal defense attorney, I’m most familiar with what a criminal justice lawyer in Tulsa does on the defense side. Everyone knows we represent people at trial. In the best case scenario, our skill and effort keeps people from going to trial. We work to resolve their case by getting it dismissed at a preliminary hearing, or sometimes to convince the District Attorney’s office to drop charges. We also represent people after trial in appeals. You’re familiar with the phrase “take my case all the way to the Supreme Court?” When its necessary and there are legal issues that may be decided in the highest courts, a Tulsa criminal justice lawyer may even go to Washington D.C. to present arguments. That doesn’t happen very often. The highest courts often refuse to hear cases because they don’t agree that an appeal presents a unique question they can legally answer. When we’re preparing cases for a Supreme Court challenge, a criminal justice lawyer often works long hours. It can be some of the hardest work we’ve faced since we took our Bar exams to qualify as attorneys. People who’ve been convicted of a crime, paid their fines and maybe served time in a jail or prison often seek the counsel of a Oklahoma criminal justice attorney. My office helps clients seeking expungement of a criminal record (also called “expunction“) and those applying for a pardon. To work in the Oklahoma criminal justice system, a person must be a member in good standing of the Oklahoma Bar Association, or a member of the bar in any state that has reciprocity with Oklahoma. If you want to work as an Oklahoma criminal justice lawyer on a regular basis, you’ll need specific training in Oklahoma law. Many criminal justice attorneys work on both the prosecution and defense sides at some time during their career. Diverse experience builds skill a criminal justice lawyer can use to provide clients the zealous representation every lawyer is obligated to provide to each client. A few criminal justice attorneys work as advocacy lawyers, representing clients facing particular types of cases for ideological or social reasons. Some work as public defenders, often earning less than average wages, because they believe indigent people deserve effective representation. 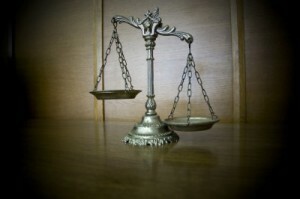 Tulsa criminal justice lawyers don’t always limit their practice to criminal law. In my case, our firm practices family law, immigration law, personal injury law, bankruptcy law and some probate and estate law. From our perspective, diverse practice keeps us flexible and fast on our feet. From a client’s perspective, we bring to the table a well-tuned appreciation of the way civil matters may affect a criminal case or vise versa – especially in family law and immigration matters. I hope this gives you a somewhat better understanding of what is a Tulsa criminal justice lawyer. Chances are, if you read this far, you have a particular concern regarding the Tulsa criminal justice system. I’d be glad to talk with you about your questions or concerns. 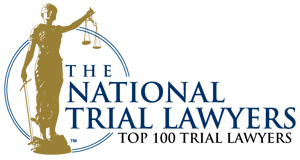 Our office offers free, no obligation consultations about pending criminal matters. For a no cost consultation with a Tulsa criminal defense attorney, call the Wirth Law Office at (918) 879-1681 (or toll free at (888) Wirth-Law) or submit the question form at the top right of this page.